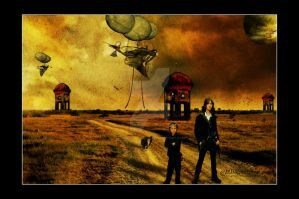 Digital painting and photo-manipulation artwork using Photoshop CS. Just trying to be creative here. What the image shows here is a beautiful young girl who has the magic of making waterfalls. She is somewhere in a fantasy-like world that everything is so perfect and dreamy. nice job. i love it. Would you consider joining we would love to have this piece, along with you and your magnificent art part of the group. Very brilliant and beautiful work! Thanks for using my stock! !